This is a 10 second exposure taken April 3.3148, 1996, UT from Los Alamos, NM through thin clouds. The image was taken with a 36 cm SCT at f/7 and an Axiom Research AX-2 CCD camera. 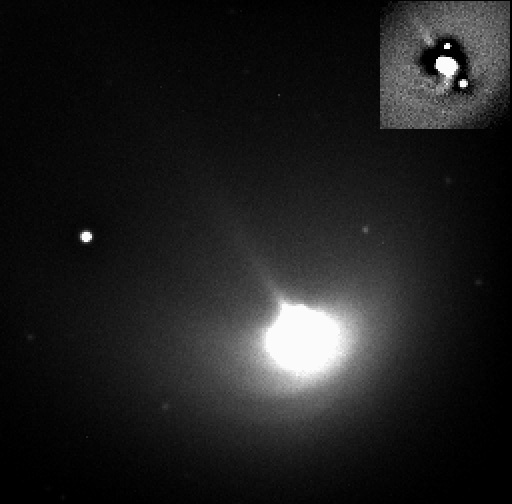 The fragment visible on April 1 and 2 has become too diffuse to detect. The inset shows the spiral jets near the nucleus.